The Spiders of Europe, a Synthesis of Data, published by the Société Linnéenne de Lyon in four volumes, is a welcome new overview of current knowledge about the European spiders, with the first volume, Atypidae to Theridiidae, available now. The Flora of Nepal is an ambitious project coordinated by the Royal Botanic Garden in Edinburgh. 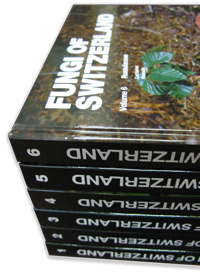 The publication of ten volumes of the Flora of Nepal is planned, Volume 3: Magnoliaceae to Roseaceae being available now. The Fauna of Suriname is being developed by a number of agencies in Suriname and the Netherlands, with the first two volumes on Freshwater Fishes of Suriname and Amphibians of Suriname due this spring. Sedges receive treatment in the new series Carex Europaea, with the first volume, The Genus Carex L. (Cyperaceae) in Europe, 1: Accepted names, hybrids, synonyms, distribution, chromosome numbers, available now. You can set up a standing order with NHBS for these, and any other series, that we list on nhbs.com. Look out next month for Part 2 of our Series Update which will look at ongoing series which have recently been resurrected, with new volumes published after a long break in publication. NHBS is on Wills Road, on the edge of Totnes, a small town in Devon. Wills Road is named after William John Wills, of the Burke and Wills expedition, who famously perished in the wilds of South Australia in 1861 at the age of 27. Wills was born in Totnes, hence the name of the road, and the statue in the town centre. Robert O’Hara Burke, though not from Totnes, is also commemorated by having a road named after him, his road runs behind the NHBS warehouse; in other words we are right between the two of them. We were reminded of Totnes’ famous son when we read the announcement of a new book recently: Burke and Wills: The Scientific Legacy of the Victorian Exploring Expedition, published by CSIRO and due to be available in the UK in November. This book deals with the scientific achievements of the expedition and its successive relief groups, rather than the much-publicised failures that led to the deaths of seven of the expedition’s members. Regardless of the serendipitous connection between Burke & Wills and NHBS, I am rather looking forward to seeing a copy of this book, as it fills a large gap in the scientific literature of exploration, and it contains many original illustrations. A few weeks ago, I attended the 14th Biennial EURASLIC Meeting. 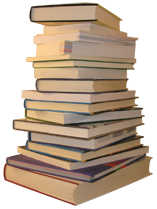 EURASLIC is the European Association of Aquatic Sciences Libraries and Information Centres. This year’s meeting on the topic Caught in the “fishing net” of information was hosted by Cemagref, in Lyon, France. The weather was lovely, the food excellent, and it was a joy to spend a few days in the company of extremely knowledgeable librarians from many countries. Among other things, I talked on the topic of hard-to-find books in Marine Biology (here is the Powerpoint Presentation of my talk). At NHBS, we have great experience in identifying and cataloguing specialist titles published by small publishers, and we know how much effort is involved in the process. In passing the information on to libraries through our Monthly Catalogue, our online catalogue, and topical newsletters, we hope to make these publications known to a much wider audience. Every week, we see new books that are not available to buy from mainstream booksellers. Coastal Plankton: Published by German publisher Pfeil who specialise in paleontological publications, but have lately published more books related to marine biology. Their latest title is The Field Guide for Sharks of the Genus Carcharhinus. Subterranean Fishes of the World: The only book ever published by the International Society for Subterranean Biology, and not very easy to get hold of. Handbook of European Freshwater Fishes: published by the author, this book is an essential reference for any marine biology library. Subscribe to the NHBS Monthly Catalogue to stay up-to-date on all new publications in the natural sciences as they are published. The meeting in Lyon was very enjoyable, I hope to be able to come to the next EURASLIC meeting in 2013 in Moscow! E-books in Libraries: A Practical Guide is an excellent all-round introduction to the subject, and should prove very popular with librarians in all types of libraries. The chapters provide practical information on collection development, pricing and delivery models, digitisation, technological challenges, user training and more. The contributors are based mainly in the UK, and include a publisher as well as librarians and information professionals. The subject coverage and the wealth of practical information covered by this title are very impressive. E-books in Libraries provides an illuminating chapter towards the end, where all contributors are asked to speculate freely on the future of e-books and publishing. This section makes for a fascinating read, and provides food for thought for anybody who is involved in the dissemination of information. The beautiful irony of this title is that it is not available in electronic format – yet (this is planned for the near future). The publisher helpfully provides the first chapter as a pdf-file to read here. Other related titles of interest include Collection Development in the Digital Age (also by Facet and due in August), and e-books in Academic libraries by Chandos Publishing. Every month, we add more than 300 new book titles to our catalogue (you can find the list every month in our Monthly Catalogue). Publishers often announce their new titles to us months in advance of publication (which can turn into years…), and we find that by the time the books arrive into stock for the first time, some of the information we had initially catalogued about a title has changed. The differences between the original announcement and the actual published book can range from a higher page number, or more illustrations, to a change in the order in which the authors are presented, or an amendment to the title or subtitle. Quite often the cover illustration undergoes several transformations. In very rare cases, the book will even have changed publishers. Even so, the earlier we hear about a book the better we like it, even if the finished product will look somewhat different. In order to keep the information in our catalogue as accurate as it can be, we give each and every book that we have never seen before a thorough bibliographic check – in fact the cataloguing data for nearly every single book needs to be added to or amended. In the office, the new books are always referred to as the “book checks”, and this stack of each day’s book checks is the most popular place in the NHBS warehouse. At the same time as verifying the bibliographic data, we evaluate the book and decide whether it’s a good fit for featuring on the NHBS homepage, or as a book of the week, and we make sure that the descriptive text reflects the contents of the book accurately. This method of rigorous checking and evaluating ensures that no book is ever included in our emails, or in a flyer or advert, unless we are comfortable recommending it. For me, book checking is also one of the most fun jobs ever – books arrive from all over the world, and they have that exciting “new” smell and feel to them. Every now and then there is a true gem amongst them, a book on an unusual subject, or one with truly outstanding illustrations, that turns out to be much more important than the initial cataloguing suggested. The Crossley ID Guide: Eastern Birds – eagerly anticipated by us. We have a pre-publication offer on it until the end of April. My first reaction to seeing this book was that it’s a lot bigger than I thought it would be! I checked out the Steller’s Jay page, as I remember these birds so well from seeing them on the West Coast of Canada, and the illustrations, as promised, are startlingly different from the usual photographic field guide, and seem to make identification very easy. This one is definitely going on the NHBS home page! The new edition of A Diperist’s Handbook should prove to be popular, as well, it is part of a series of similar handbooks published by the Amateur Entomologists’ Society, and the book production value is outstanding. A very useful addition to any entomologist’s library, and I can’t recall seeing any similar books on the same subject recently. A new Crossbill Guide: Loire Valley – Loire, Brenne and Sologne. This series of nature travel guides is one of my favourites and we always look forward to seeing a new one published. Browse all the Crossbill wildlife travel guides. The Human Planet Blu-Ray arrived today, and before we could even book it into stock, several people in the office declared their intention of buying a copy for their own use. (This is a recent BBC series, which examines how humans in extreme enviroments adapt to living with nature). The book accompanying the series came into stock last week. A Field Guide to the Butterflies of Singapore: A well-illustrated photographic guide, published by a specialist natural history publisher in Singapore. A couple of weeks ago we received a pallet of hundreds of brand new copies of the latest title in the New Naturalist series, (Volume 116: Plant Pests), and in our latest Monthly Catalogue we are announcing new volumes in the popular Flora of China Illustrations and Flora of Tropical East Africa, amongst many others. All of these volumes made it straight into our top ten bestseller list. This serious series activity prompted me to delve into our databases and find out some illuminating statistics concerning book series and volumes. How many monographic series are there in the NHBS catalogue? In 26 years of cataloguing, we have accumulated information on well over 6000 series and multi-volume sets. They range across many subject areas, from botany to birding, from conservation to climate. Some of the series have sub-series, i.e. a series within a series. I have never really understood why this happens – presumably due to a given volume turning out to be more voluminous than planned? Sub-series certainly add to cataloguer’s stress levels! At least half of all series are no longer active, i.e. no further volumes are expected to be published. Others have only one or two volumes in our subject range. In 2010, we added 62 new series to our catalogue, including the Witt Catalogue, the Flora of Nepal, Bats in Captivity, and the Synopses of Conservation Evidence. How many series do we check for new volumes? We have developed a system for making sure that we don’t miss any volumes in important monographic series. 300 of our series have standing orders, so we check these regularly as a priority to make sure our standing order customers don’t miss out on any new volumes. We also check series by publisher, by subject matter, and by popularity. In 2010, including the 62 new series, 341 series have had new volumes added, at an average rate of 2.5 volumes per series. In all, for every series that had one or more new volumes added to our catalogue in 2010, we checked one more that proved to have no new additions. Why do we spend so much time cataloguing series? We want to continue to have the most comprehensive range of Natural History titles on the planet, and we are always on the look-out for new publications, regardless of whether they are part of a series or not. But, just as importantly, if you, as our customer, have a standing order for a series with NHBS, we have a responsibility to keep the series updated. If we manage to find out about a new volume before publication, we save everybody a lot of time! And, as many new volumes are published with pre-publication special offers, it saves money, too.